Delta ENERGY STAR® Exhaust ventilation fan with dual speed, has voltage rating of 120-Volt AC and current rating of 0.38-Amp at 60-Hz. It has power rating of 6.2-Watts at 0.1-Inch static pressure and 10.8-Watts at 0.25-Inch static pressure. It offers airflow of 60 CFM at 0.1-Inch static pressure and 56 CFM at 0.25-Inch static pressure. It has 4-Inch Dia duct for superior performance. It features galvanized steel housing that measures 9-5/8-Inch x 9-5/8-Inch x 7.3-Inch. 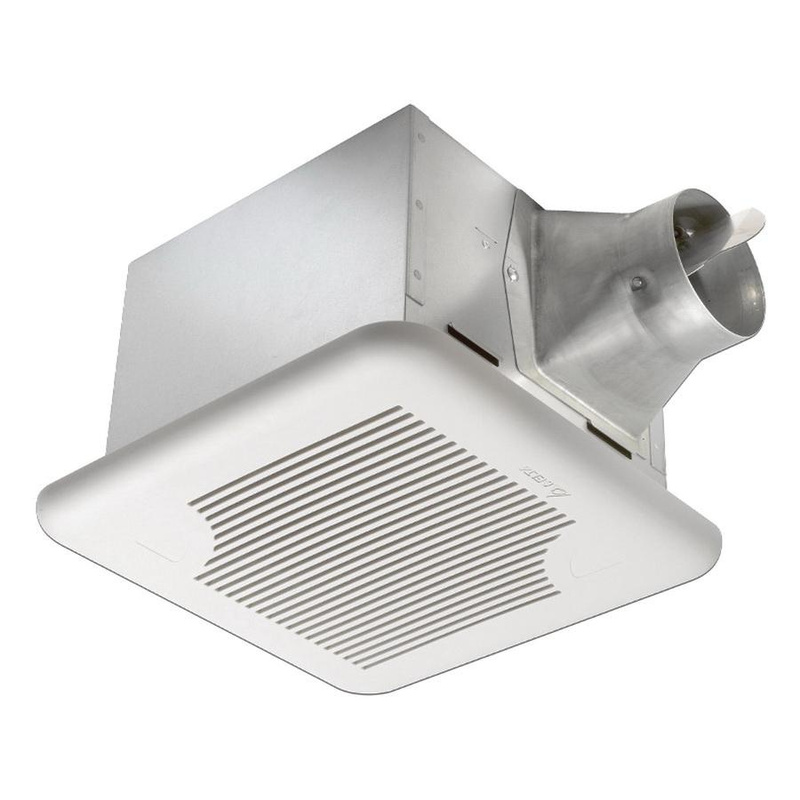 This ventilation fan has ABS square grille that measures 12.36-Inch x 12.36-Inch. It has delay time preset positions. It offers quiet operation at less than 0.3 Sones. Ceiling mountable ventilation fan has manual switch that allows operation in full speed mode or continuous low speed mode. Green and amber LED indicator lights display continuous low speed and full speed modes. It has 9.68-Inch x 9.68-Inch mounting opening. Exhaust ventilation fan is UL listed, Energy Star qualified and HVI approved.